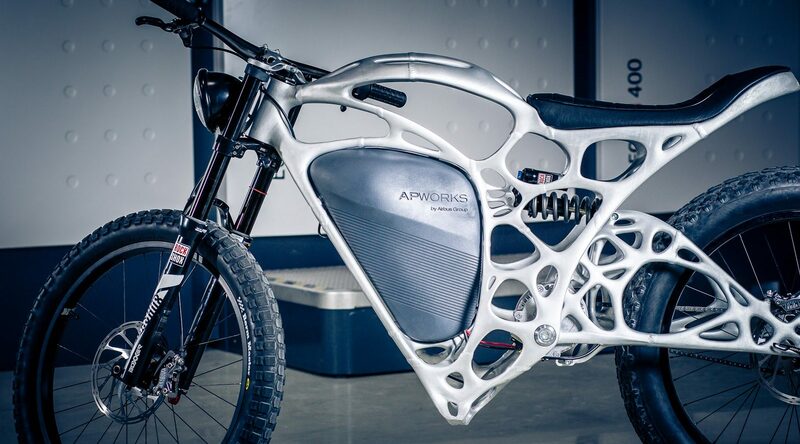 If you’ve never heard of APWORKS, you’ll probably have heard of the Light Rider: the world’s first ever 3D-printed motorcycle. 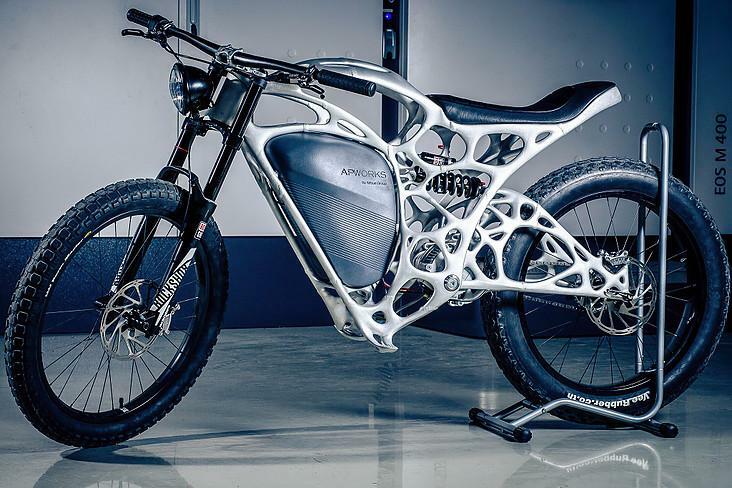 Unveiled in 2016 by APWORKS, the electric motorcycle has been commended for its lightweight design, enhanced performance and complex geometries — a shining example of what can be achieved with additive manufacturing. Founded in 2013 as a spin-off from Airbus, APWORKS is a leading provider of metal additive manufacturing solutions. The company covers the full spectrum of metal AM, including part optimisation and qualified serial production. The company has also developed and patented its own high-strength, aluminium alloy, Scalmalloy®, which was used for the Light Rider project. Recently acquired by Premium AEROTEC, a tier-one supplier of metal components for Airbus aircraft (and a subsidiary of Airbus in its own right), APWORKS serves a broad customer base that primarily includes the aerospace, automotive and robotics industries. 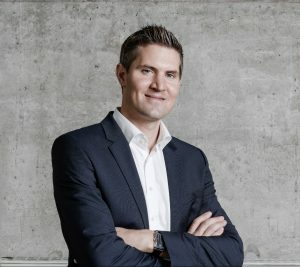 This week, we speak with the CEO of APWORKS, Joachim Zettler, to discuss why companies need to find the right business case for AM, why the technology is perfect for the automotive industry and what the future holds for the industry as a whole. Could you tell me a bit about APWORKS and your mission as a company? APWORKS was created in 2013 as a subsidiary of Airbus. Last year, we were acquired by Premium AEROTEC, an aerospace manufacturing supplier. Premium AEROTEC is a tier-one supplier to Airbus and is one of the largest aerospace manufacturers in the world. Premium AEROTEC has a heavy focus on additive manufacturing and so the move was pretty natural. And while this doesn’t change anything internally for APWORKS, we do now have a more production-oriented shareholder in Premium AEROTEC. For APWORKS, our mission is still the same: we want to be a one-stop provider of additively manufactured industrial components for our customers — and not just from regulated industries. Automotive is also quite a large customer base that we serve, for example. We also see our role as educating our customers, since we have customers that come to us without any prior knowledge or experience of additive manufacturing. On the other hand, with the customers who already have a certain knowledge about additive, we make sure that we can help them develop applications that make sense with the technology. This includes helping to redesign and optimise components as well as actually producing parts with additive manufacturing. The size of the projects we work on varies immensely, from small-batch production to projects within the optics industry where we produce roughly 20,000 units a year. That’s another part of our mission: establishing a business case for additive across industries and becoming a partner of choice for our customers. You mentioned automotive as being an important industry for APWORKS. In what ways can the automotive industry benefit from additive manufacturing? If we look at motorsports or even luxury vehicles like Bugatti or Ferrari, automotive companies in this sector are typically interested in reducing lead times, either during the product development phase or in a spare parts scenario like Formula One, where they need to get high-quality functional parts quite fast. In addition to lead times, I’d also say that cost is another issue for the sector. With this in mind, the question becomes how can you ensure that both lead times and costs are reduced with additive? This is important, particularly when compared to traditional ways of manufacturing. Part consolidation is an important part of this. This could mean, for example, being able to print a part previously made up of 10 individual components, in one go. This is great because it leads to fewer quality inspections and, of course, less assembly time. At the same time, if we’re designing a part for additive we need to make sure that these components are optimised. This optimisation usually leads to increased performance and this improved performance tends to be a great business case for our clients. That’s also what motorsports is continuously looking at: reducing lead times is definitely still the primary driver, but this is slowly being replaced by more performance-driven issues. Surprisingly, weight saving is typically not a driving factor when we’re redesigning components for automotive companies. Do you find that companies seeking your services already have a good understanding of AM, or are they really at the beginning stages of understanding what can be done with the technology? The industry has really changed over the last few years. When we started APWORKS back in 2013, most of our customers had very little knowledge about what the technology can do. Interestingly, while we still do have some customers with little knowledge of AM, we have a growing number of customers who are aware of the benefits of the technology and what can be done with it. This is great because these customers really understand where the business case lies — and how to get the most out of additive manufacturing. For our customers who need more information about additive, it can be a time-consuming process. They need to go back into their companies, spread the idea of additive and try to investigate on a suitable path that makes sense for additive. Of course, we support our customers on that journey. If I had to put a figure on it, I’d say about 60% of our customers are very knowledgeable about AM. The other 40% still needs quite a bit of educating. You touched on the importance of having a business case for AM. In what ways can companies identify the right applications for AM? There’s no one answer to this question; it’s very much dependent on the industry and on the specific application. With our customers, we tend to start from scratch, with a green field approach so to speak. So we don’t want to know what the part looked like before, or what production method was used. Instead, we collect boundary conditions to try to come up with a new multiphysics, optimised design with enhanced performance — that can only be achieved with 3D printing. Our customers typically want us to reduce lead times and achieve material savings. With this information, knowing what a customer wants, we can easily establish whether or not there is a business case to be had. We then narrow down our part selection funnel to select the parts that make sense to look at more closely. Then depending on these inputs and the various customer needs and demands, we usually come up with a business case. Much has been said about the need for a different design approach when it comes to AM. 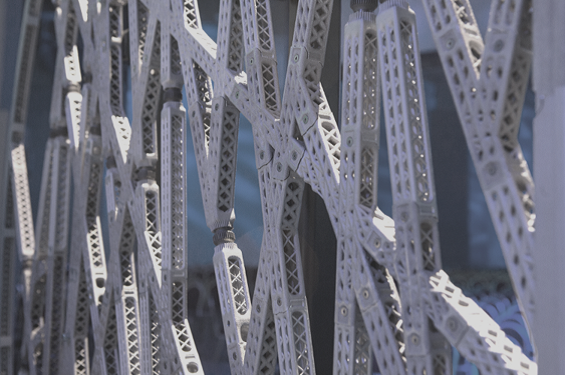 How does APWORKS address the challenge of designing for additive manufacturing? First, we try to get engineers who are great in at least one discipline of the additive environment, whether that be within design or production. We also prioritise training. We provide a lot of training on the job, making sure we combine design capability with the process knowledge you need in order to design accordingly. So it’s quite the setup we have at APWORKS: our staff are not only great at designing, but they also have a production background, more or less. Whatever we design, we can also produce. A challenge that many of our customers face is that their engineers often don’t know how to design for additive. That’s why we also try to transfer the knowledge we have to our customers. For us, this approach makes sense because once you transfer this knowledge, companies will usually come back to you as they’re more knowledgeable and are in a position to move faster. We see this as an opportunity for APWORKS, as even in universities, at least in Germany, design for AM is still not really widely taught, at least not to my knowledge. Last year, APWORKS unveiled its high-strength metal powder, Scalmalloy®. What are some of the benefits of the material — and do you have any plans for further material development in the future? The unique selling point of Scalmalloy® is that it combines high strength with a high level of ductility. Typically, you either have a brittle material that is very strong or a very ductile material that is relatively weak. Scalmalloy® combines the best of both worlds. We sometimes get customers asking if we can develop customised materials. With Scalmalloy®, we were quite lucky in that this material reveals exactly the material properties we expected from a high-strength aluminium alloy. However, we typically don’t put a lot of focus on developing new materials from scratch. Rather, what we do is take existing materials, like Ti6Al4V, AlSi10Mg and 316L, and use the process parameters of our system to tailor the material to a specific use case. This is much more effective than having to constantly develop completely new materials. For example, we were able to develop a process parameter optimised for Ti64 to increase its ultimate tensile strength by nearly 30%, while simultaneously keeping the same elongation at break. This was achieved simply by varying the process parameters accordingly. The way we tend to approach materials development is like this: a customer approaches us with a certain problem and we try to find the right design approach to address the problem. That design approach is usually related to the material. So even if we use a fairly standard material like Ti64, we can still experiment with the process parameters to get more out of the material. On the software side, APWORKS has developed its AMXpert software. Could you tell me more about the software and why you developed it? The software that we use has two main purposes. The first is providing a way for customers to quickly get offers and quotes in our system. You can upload the geometry, select the material you want and you get a quote, or you can even order it right away. So it’s a handling system. Second, customers can use the software to screen their part portfolios. You can easily upload hundreds of thousands of parts and geometries. The system is attached to our internal knowledge database, where all the jobs we printed in the last five years are stored. This database contains analyses of all of the jobs we’ve done in the past, including what failed in the past, which material and design combination makes sense, minimum wall thickness and so on. Essentially, it comes with all these lessons we’ve learned in the years we’ve been using AM. We allow our customers to use AMXpert free of charge because we want to educate customers in their part selection process so they can easily identify the parts that make sense to produce with additive. Are there any success stories you’re able to share? Unfortunately, much of the work we do is confidential. However, we have done a lot of work within the fashion industry. We’ve also produced parts for various Formula One teams, mainly in prototyping, as well as parts for the robotics industry. Tooling for automotive is another popular application. Perhaps our most publicised project to date has been our Light Rider bike which we developed in 2016. The Light Rider is the world’s first 3D-printed motorcycle and uses our Scalmalloy® metal. It’s a lightweight electric motorcycle and 30% lighter than traditionally made electric motorbikes. We initially intended to be an interesting showcase, but we now have a lot of customers who want to buy the motorbike! The question for us, as always, is finding the business case to sell the bike commercially, particularly as it’s quite expensive to produce. But who knows, perhaps in a few years you’ll see the Light Rider on the streets. Issues around certification and part quality are two key talking points in the industry. Are these challenges you’ve also come across at APWORKS? I think the industry is still in the process of figuring these things out. Being able to fulfil certain qualification criteria is especially important if you want to use additive in highly regulated markets like aerospace. Large OEMs all have certain quality criteria, and you as a supplier need to meet them. Sometimes, these requirements have come from existing technologies like forging, casting, and machining, but are simply applied to AM without even thinking that this is probably a completely different way of production. This makes it quite challenging from time to time. If you have parts that are forged today and tomorrow you would like to print them then of course you’d have to fulfil the same material property criteria with your 3D printed part, which is nearly impossible. But with the right approach and certain quality knowledge, it can be done. And in time, we’ll see more standards being developed for AM. One of the challenges right now is that there are simply not enough rules for AM yet. The industry is trying to standardise production processes and how different production methods should work, for example. This includes not only how the machines work, but also powder characterisation, how the post-processing chain should look, what training the machine operators should have and so on. For those who are new to metal 3D printing, how can they be sure which technology they should consider for a specific application? This can often be a complex issue for companies. As a small or medium-sized company that is new to additive, you could do it like the majority of other companies — buy a printer and perhaps hire a consultancy to help you make the right parts and the right decisions. But this approach can often end up being a waste of time and money because companies haven’t first developed a business case for AM. We’ve seen this time and time again, where companies have invested in 3D printers only to find that they have no business case, no load on their machines — and they end up bitterly disappointed. So before spending any money or investing in any machines, I would advise companies to first speak with others who have successfully utilised 3D printing to help turn a profit. Learn from those who have already succeeded in the area and are highly knowledgeable about AM. How do you see the AM industry evolving in the next five years? The industry is evolving more and more and is moving to industrialisation. As the industry industrialises, there comes the question of how to make money with the technology now. It’s no longer about R&D; it’s about making a business case with the technology. Also, as we see more customers becoming knowledgeable about AM, we strongly believe that the industry is moving towards serial production. In fact, that’s what we’re doing on a daily basis. Additionally, there’s more education provided by universities and companies like APWORKS, and we’re seeing more and more applications coming up that just makes sense from a business point of view. What will help this is the fact that the machines are improving year-on-year. The more efficient and productive the machines, the easier it is to realise a business case for your application. That said, additive will always be a production method for niche applications. I don’t believe it will ever replace machining or even casting. But if you were to ask me this question again in five years’ time, I would say that not only do we have many more applications for additive, but it has truly become a normalised production method, like casting or machining. Finally, what does the rest of 2019 hold for APWORKS? Until now, we’ve been dedicated to educating our customer base as well as helping them produce and design optimised parts and products with additive manufacturing. This won’t change. But what has changed is that we’re becoming more product-driven as a company. As well as the production work we do for our customers, we also want to focus on releasing our first product. Details are still confidential, but we’re currently in the process of developing a new product that uses AM in the best possible way. We’re also focused on expanding. Right now APWORKS mainly operates from Europe, but we’re looking to rapidly scale as a company. To achieve this, we aim to increase our presence in the US this year, to provide onsite support to our customers stateside. AMFG’s Expert Interviews series showcases innovative companies and individuals helping to shape the future of additive manufacturing. For more information about participating in the series, please contact marketing@amfg.ai.